1. 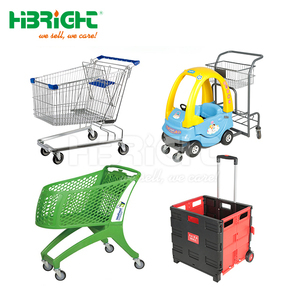 Supermarket shopping trolley, shop trolley cart, shopping carts 2. Surface Finish: Chrome plating, zinc+coated or powder coating. 4. All sizes are OK. 6. 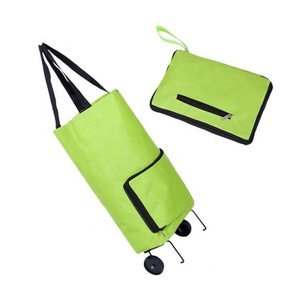 Include all Plastic parts (Hangers, Corners protectors, Baby seat), and all colors are OK.
Pinghu Alpine Bags Co., Ltd.
1.The shopping trolley bag is made high quality fabric, water-proof. 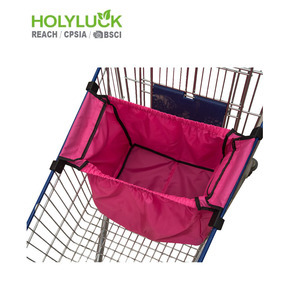 3.Bag and Steady in two separate, easy to take part and wash. 5.Shopping trolley bag can help you to carry heavy things ,it's ideal shopping partner. -Q:Is ODM/OEM available by your company9 -A: Yes. -Q:What about the samples9 -A: Free samples. -Q:What extra service you can offer9 -A: Free logo design on product. 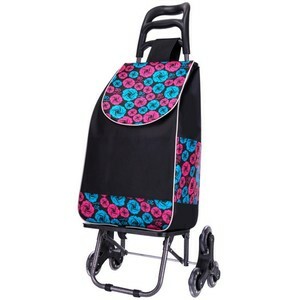 Customer logo can be printed on handle bar free of charge or babyseat. 9). 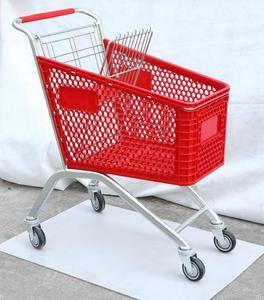 Anti-bumper plastic parts installed at the corner of basket to protect the trolley crash. 10). We provide One-Stop Service and Retail Solutions for all our customers. Q2. What is your terms of delivery9 A: Usually FOB Shanghai port. Q4. What is your sample policy9 A: Customers pay for the sample, refunded once order place. Q5. Do you test all your goods before delivery9 A: Yes, we have 100% test before delivery. The wheel:the plastic inside,the EVA foaming outside. 3. 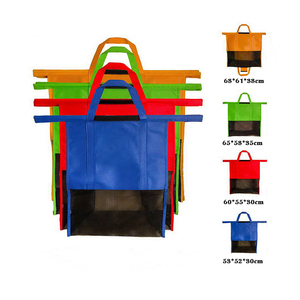 Sacks and rod can be detached for easy cleaning. 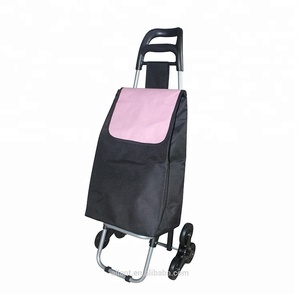 4.All wheels ,bags,trolley frame can be folded, save space and easy to carry. 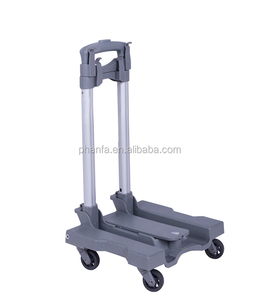 We have full size of various trolleys, Excellent in quality, fast delivery time. We will ship the sample out once completed after get confirmation from you. Other payment terms are also negotiable before order confirmed. 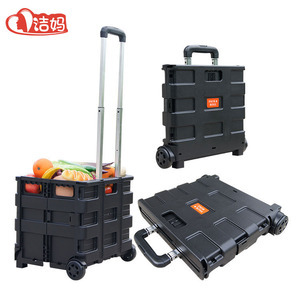 Alibaba.com offers 22,351 grocery trolley products. 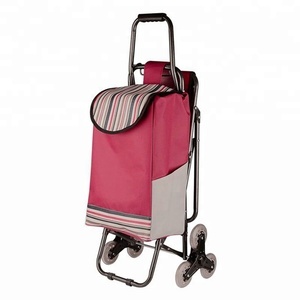 About 19% of these are shopping trolleys & carts, 4% are hand carts & trolleys, and 3% are hospital trolley. 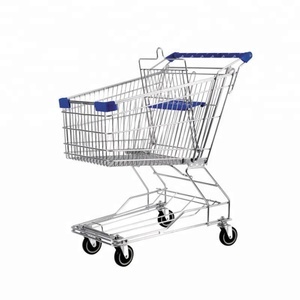 A wide variety of grocery trolley options are available to you, such as hand trolley, shopping cart, and easy-box-shopping trolley. You can also choose from steel, plastic, and aluminium. As well as from chrome plated, zinc plated. 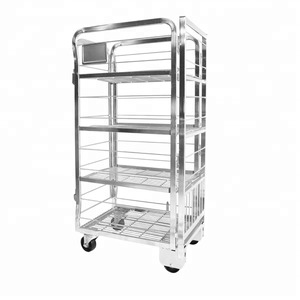 And whether grocery trolley is folding, unfolding, or light duty. 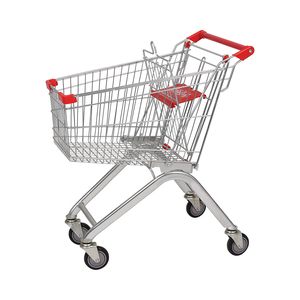 There are 22,297 grocery trolley suppliers, mainly located in Asia. 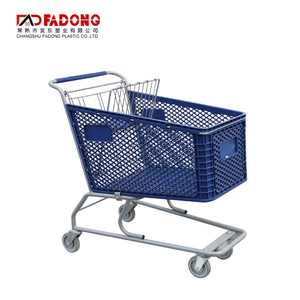 The top supplying countries are China (Mainland), Taiwan, and India, which supply 98%, 1%, and 1% of grocery trolley respectively. 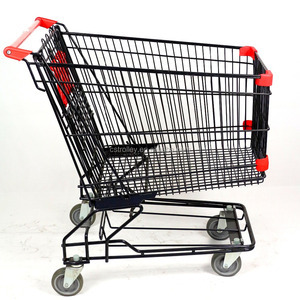 Grocery trolley products are most popular in North America, Western Europe, and Domestic Market. You can ensure product safety by selecting from certified suppliers, including 5,153 with ISO9001, 1,728 with Other, and 1,226 with ISO14001 certification.